In this review we have a look at Samba Binary Options and we explain why you should avoid it. Samba Binary Options is an investment service. You can get either trading signals or let alleged professional traders trade for you. The monthly return on investment allegedly is 160%, meanwhile the trading accuracy is 778% (sic). You can get a one month free trial of Samba Binary Options, but it would not be a good idea. 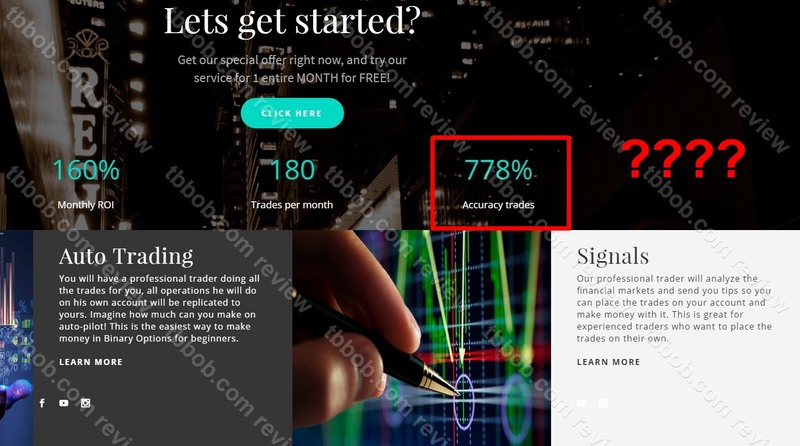 The first thing we noticed is the “accuracy trades” number 778%, see our picture. It absolutely does not make sense. A win ratio cannot be greater than 100%. Secondly a 160% monthly ROI is pure fiction. Such a number is impossible in the long term with a genuine investment program. Even more with an illegal investment service. Samba Binary Options is allegedly based in France, so in order to do what they do, they would have to be regulated by the AMF. But they are not. They have no license whatsoever, so it is an illegal investment service. Last but not least, Samba Binary Options is not free. You will have to deposit at least $500 with a broker that is not regulated in order to be able to join. Trading with unregulated broker is very dangerous, because your money is not protected in any way. 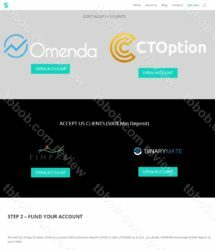 The vast majority of binary options scams is done by or in cooperation with unregulated brokers. 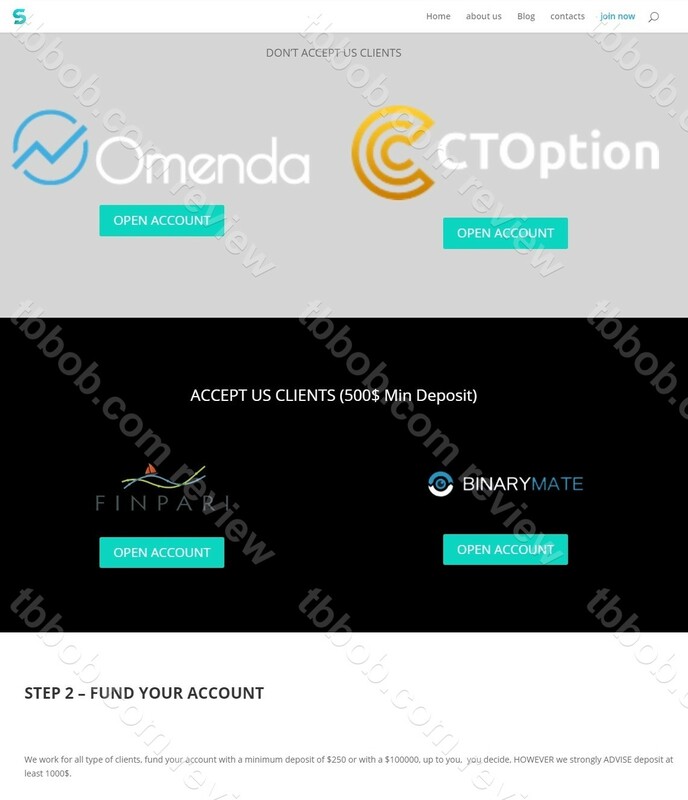 If a program like Samba Binary Options pushes you to unlicensed brokers only, it is a huge red flag. Withdrawing money from such brokers is nearly impossible. 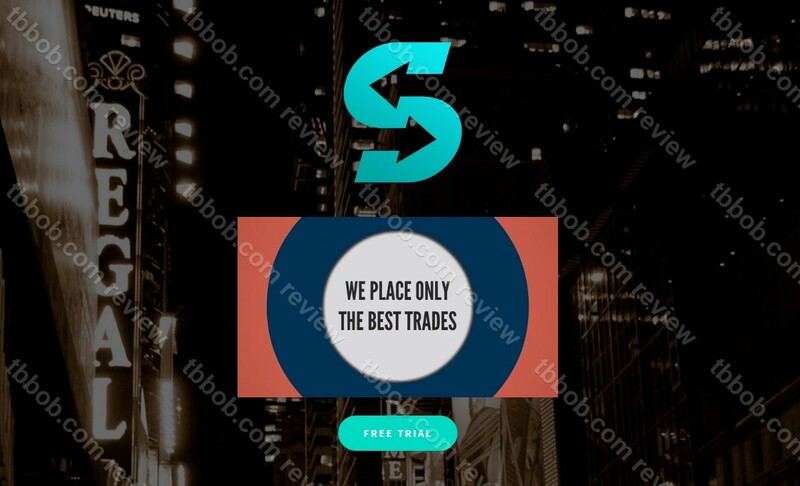 Samba Binary Options is an illegal investment service that pushes you to deposit with unregulated brokers. Stay away from it! If you are interested in binary options trading, try a free demo account with a regulated broker. Then you will be able to see, risk free, whether trading is something that you could succeed in.